Its been a little while since our last blog post but we have been keeping busy with our 2019 plans. If all goes well, this should be a good season for us. We are in the process of building a new motor, locking in our event plans, and expanding our little business into offering custom fabrication work for our fellow racers. Our 2019 season currently has us venturing across the boarder as many as three times this fall. 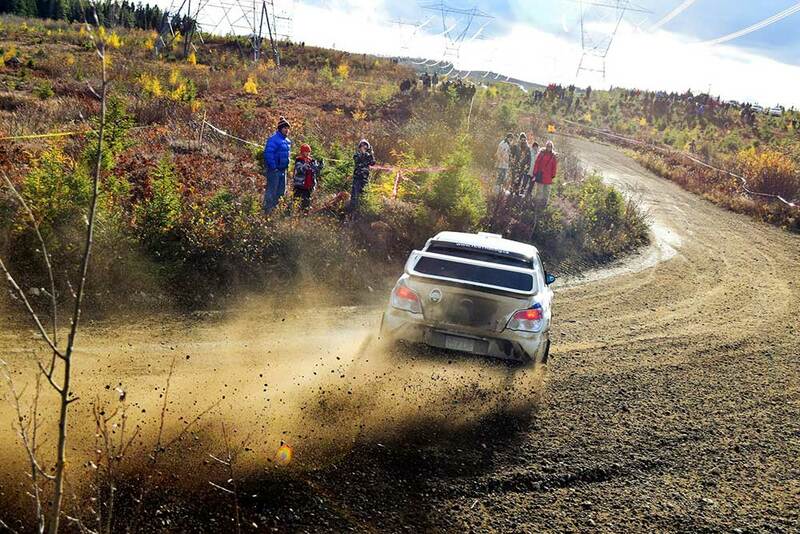 This past October we took a trip up to Rallye De Charlevoix, just over an hour north-east of Quebec City to spectate a CRC event for the first time. We were very impressed with how well the event was run and how easy it was to spectate. We went up without scouting out any locations and decided to just try to make our way around. We managed to see just over half of the stages, and could have seen a couple more if we went back to some of the repeat stages. 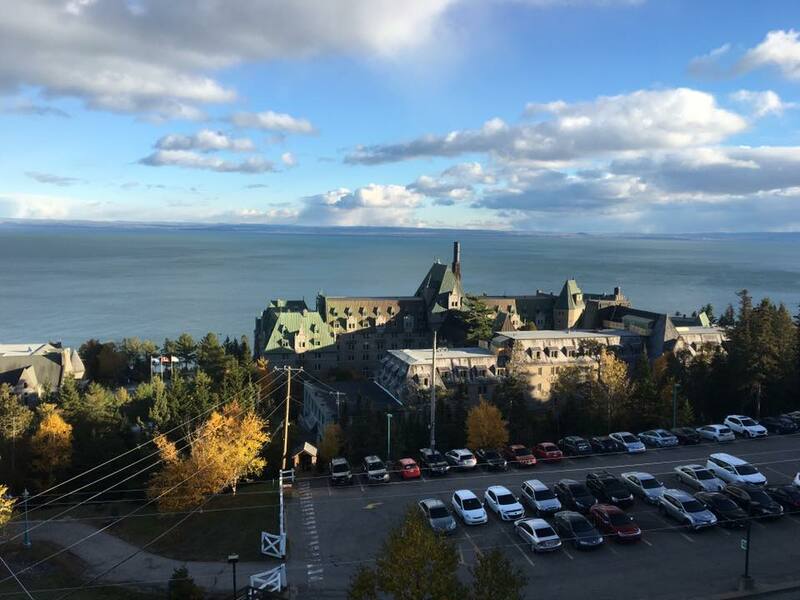 The event itself is held at what is essentially a castle resort with a casino connected to it, and just about all the stages are within 15 miles of the resort. We are planning on starting the 2019 season with our home event, New England Forest Rally, and then we will run our first ever Canadian event at Rallye Defi near Montreal in September. Following that will be Rallye De Charlevoix in October, and if we still have a working car we will be venturing over into Ontario around Thanksgiving for Rally of the Tall Pines. Our season will be pushed back more than usual, but this should help us get our car in better shape with the improvement that we have made. Speaking of improvements, we have a big one on the way. Our new chassis and suspension upgrades gave us a significant boost in performance last season. We could go into turns much faster and the car overall felt more solid and confidence-inspiring on stage. However, our setup is at a point that the engine is now the weak point in the car. We are getting enough grip now that it is getting hard to break the rear wheels loose when we need to, especially in faster turns. A common power upgrade for BMWs is going to their 6-cylinder models. It is a fairly inexpensive upgrade, and one that works well on track cars. The issue with putting an inline 6-cylinder in our car is that the extra motor ends up in front of our axles. Our current M42 motor is nicely tucked behind the front axles currently, reducing our polar inertia and allowing our car to be just about perfectly balanced without having to add any weights. 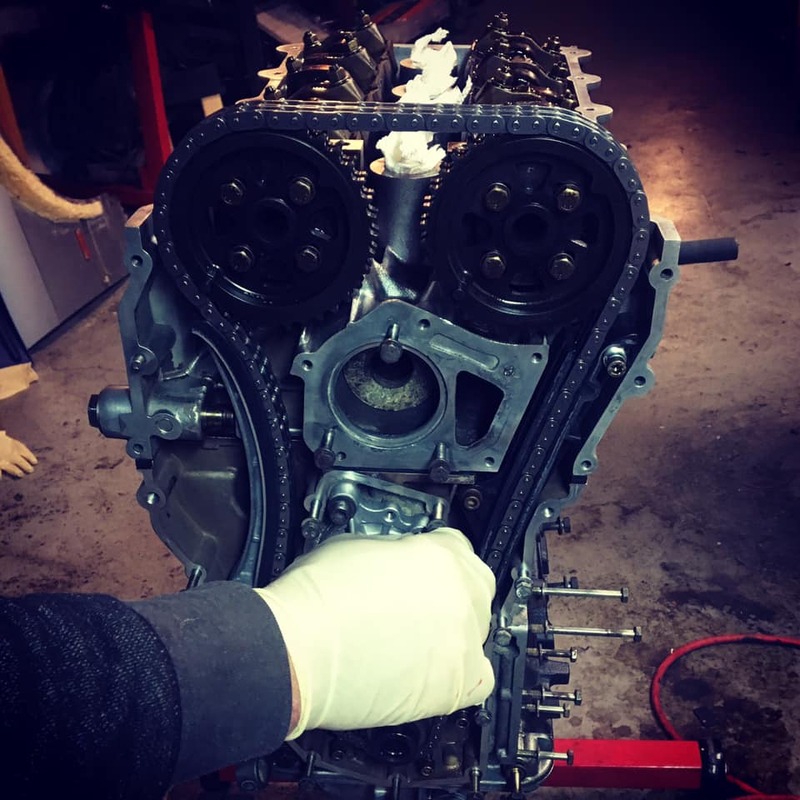 We decided to stick with our M42 and go for a nice turbo build with it. 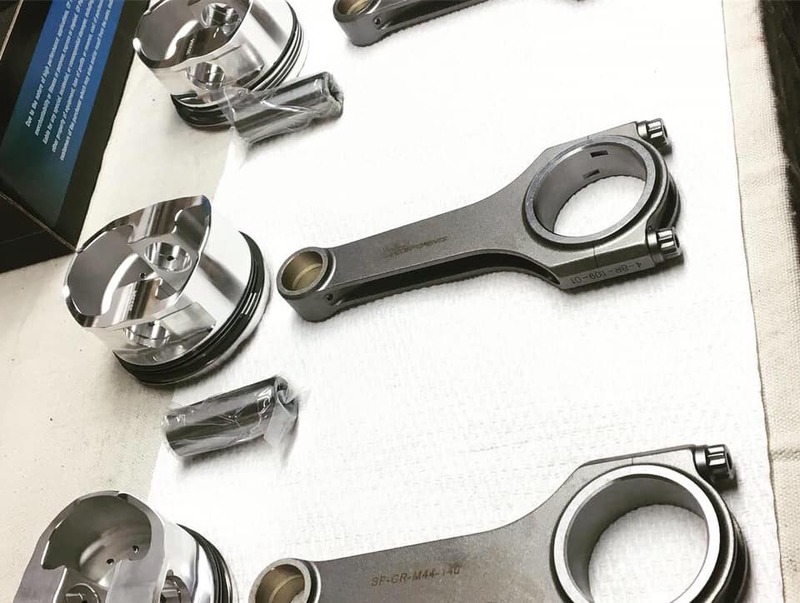 We have gotten our forged internals from VAC Motorsport, our tuning and general build support from ACE Performance, and we are using eEuroparts for all our OEM parts (engine sensors, timing chain/guides, gaskets). 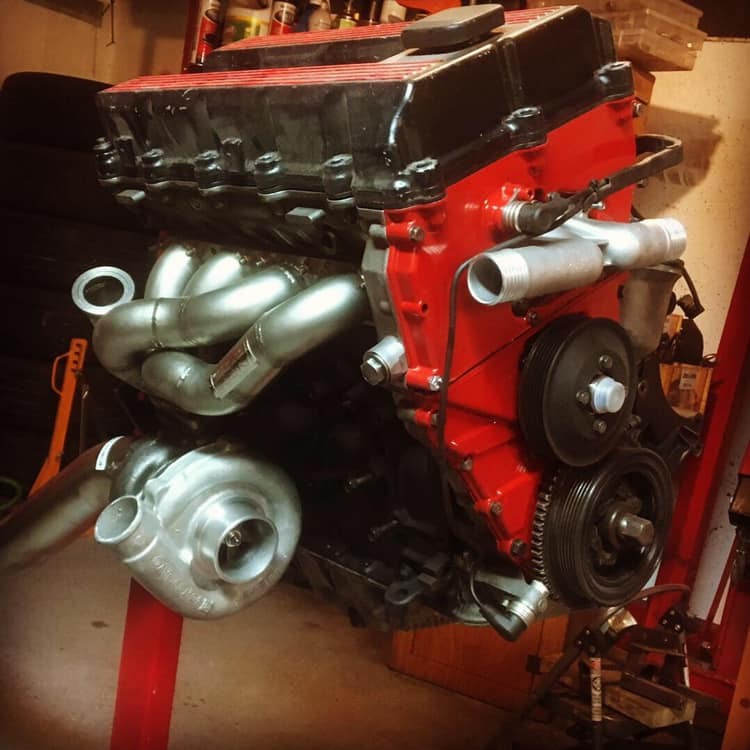 Right now, we have our turbo mounted and are working on installing our sensors and figuring out plumbing and wiring so we can make the transplant soon. We will go more in-depth with the motor in the next article, but it looks really promising right now. Our car can already get on podium with the stock motor, so this should help us get top 3 more consistently and be able to risk-manage on stage with the extra power. We are looking forward to trying it out soon! That’s what the 1.9L engine needs. A Turbocharger or Supercharger. Would be great if a smog legal kit is available.